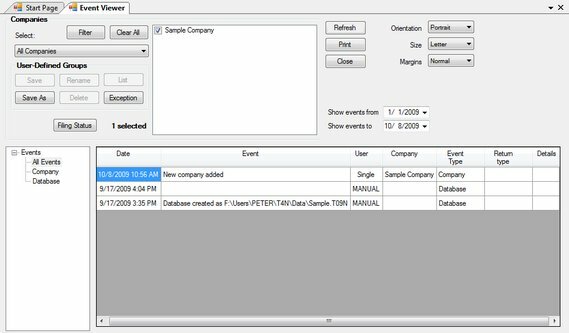 The Event Viewer provides an administrator with the tools necessary to prepare detailed reports on significant events occurring during the use of eForms Enterprise. It is intended to serve as an aid to data entry analysis and can also assist in forensic analysis of system performance and usage. Note: In situations where both English and French are (or have been) used as the default language of the eForms you may notice that English and French events could be interspersed with each other. This is normal and is dependant on the language in use at the time the entry was made.